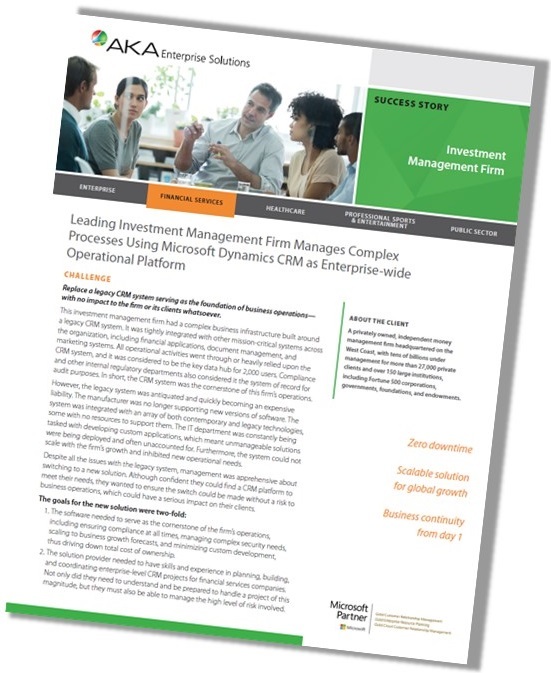 What software do the most successful investment management firms use…and why? How are they benefiting from their solution? Download this case study and find out. Company: A privately owned, independent money management firm with tens of billions under management for 27,000+ private clients and 150+ large institutions. Challenge: Replace a legacy CRM system serving as the foundation of business operations —with no risk and no impact to the firm or its clients whatsoever. Get the case study to learn more.